A Forest Grove couple revitalized their historical home as a vacation getaway. The I.L. Smith House peeks out of a grove of tall trees, sitting in a Forest Grove neighborhood surrounded by other homes dating back to the late 1800s. Zoey, a fluffy golden doodle and the home's unofficial greeter, likes to meet visitors at the door with a nudge and a tail-wag. Her owners, Elena and Don Ives, soon follow behind her and are quick to say welcome. Being guided through the walkway of the Italianate-Victorian style home is like stepping into a giant time capsule. Built in 1873 by furniture builder I.L. Smith, it doesn't appear to have changed much in the 145 years since. But Don and Elena share it's undergone a serious evolution since its foundation was laid. 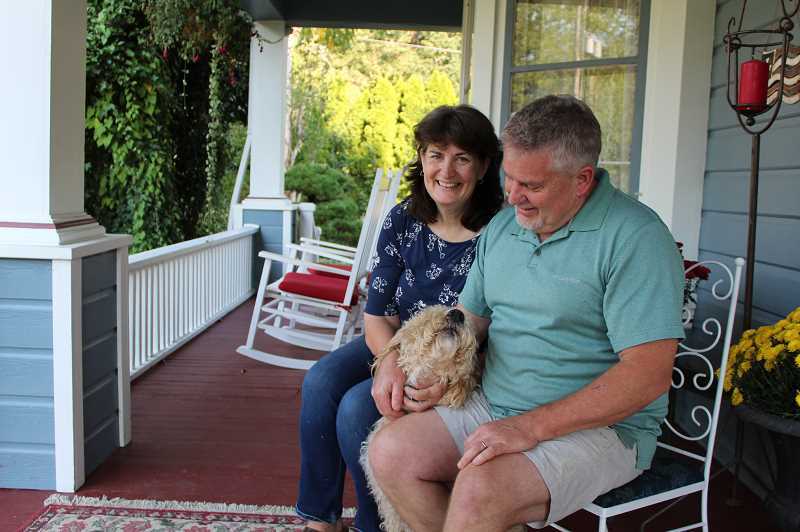 The Ives' home has been featured in the Friends of Historic Forest Grove historical home tour in the past, but these days the home has taken on a different mission, as a rental vacation home. The Ives recently opted to list the home on Airbnb, a digital platform which allows home owners to rent out their spaces to travelers. Now, the Ives have three listings for the house, where people can choose one of the two rooms. The couple rent out the whole house as well to people in need of more space. "People say they are afraid to touch anything, but I tell them to make themselves at home," Elena Ives said. Airbnb is seen as an alternative to hotels or hostels for avid travelers, and is seen as competition for the hospitality industry. Portland moved to regulate short-term rentals such as Airbnb in 2016, capping the number of bedrooms units listed. 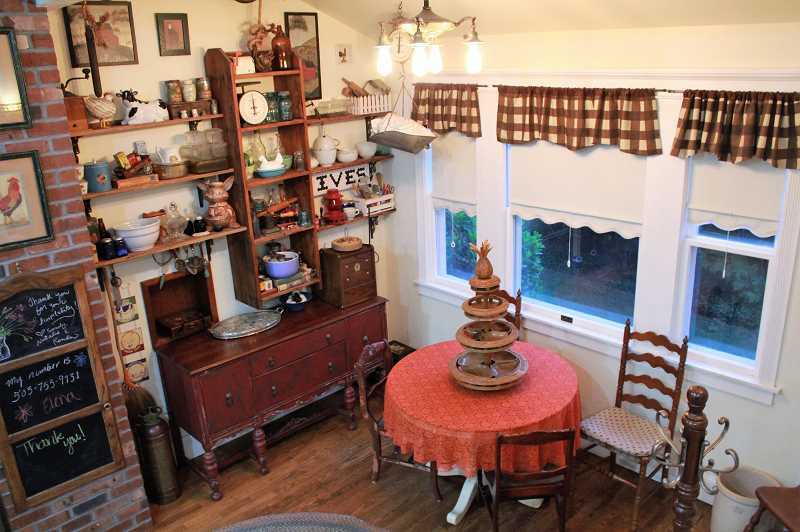 For the Ives, listing the home allows them to spend more time with their 12 grandchildren. The keys have passed through many owners over the years, and made its way to the Ives after sitting empty for years. The couple bought the home in 2013, after the Ives fell in love with the home. The husband and wife team took on what became a huge construction project to fix up the modifications past owners put into the home. "We really wanted it to go back to the way it was," Don Ives said. The renovation took four years, with the goal to create a look as authentic to the original as possible. The Ives noticed the woodwork was unique and tried to replicate it with the help of a carpenter family friend. As time passed, they learned more and more about their one-of-a-kind home through word of mouth. "We'd have people stopping by to look at the house because of the trail nearby," Elena Ives said. "I remember a man stopped at the trail nearby and he shared that he used to deliver papers here." One morning, while on his route, the man said, he saw smoke and flames coming from inside the home. "After he saw smoke, he ran to wake up the people in the house," Elena Ives said. As renovations continued, the couple discovered charred walls behind sheetrock in the attic, corroborating the man's story. "That one little act probably saved this house," Don Ives said. Another unexpected visitor turned out to be the great-grandson of the original builder, I.L. Smith. Don Ives said he was on the lawn during their renovation when Coos Bay resident Rick Smith dropped by unexpectedly. Smith said the Ives took him on a tour immediately after meeting him. "It is a very nicely done house," Smith said. "(The Ives) were very clever and detailed oriented." She's personally undertaken research projects, finding antiques to add to the character including the grand piano they own. As old as the house, the piano sits in the dining room, but instead of being for musical enjoyment, the Ives converted it into an island for cooking space. Close by is an old-fashioned dumbwaiter the Ives uncovered during the renovation. They took the time to convert it into shelves featuring antique knick-knacks. 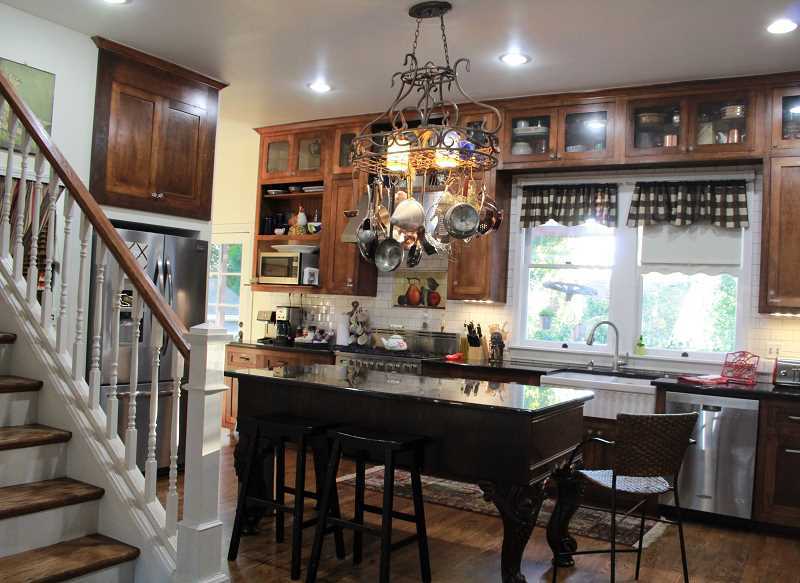 The Ives said they want to keep the home's turn-of-the-century charm, as well as their own personal touches to the home. "After you put your heart and soul into a place like this, it is really hard to let it go," Don Ives said.